Electronic Arts released Battlefield V in November of 2018. 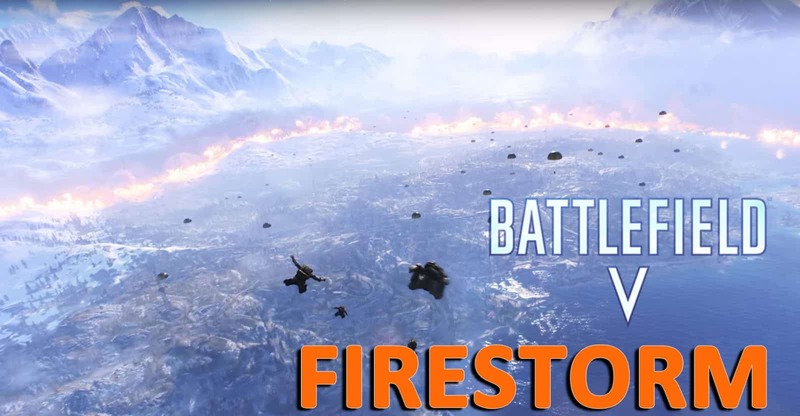 The makers of the game, DICE, have now released a Battle Royale game called Firestorm. For those who haven’t installed the game might have a few questions as to getting Firestorm. 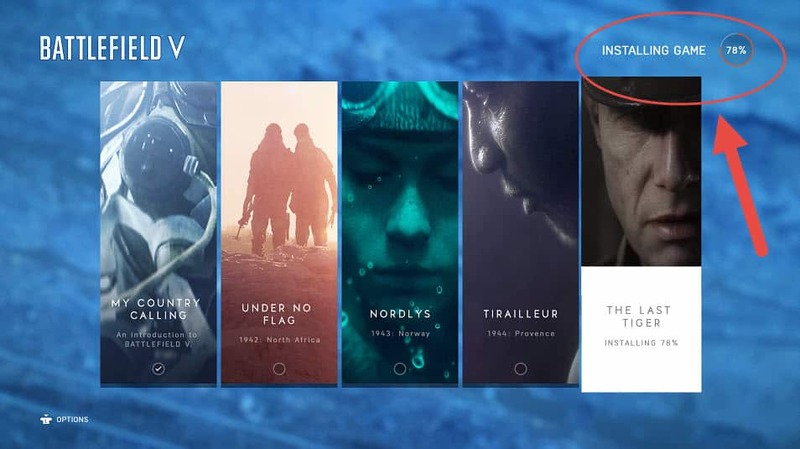 Here’s how to download Battlefield V Firestorm. For users who haven’t bought Battlefield V will need to purchase the game before they can even download Firestorm. The additional Battle Royale, Firestorm, is not F2P (Free-to-play) and is only unlocked once you install the entire game. Due to the recent release of Firestorm Battle Royale, EA decided to cut 50% off the price tag of Battlefield V which is a pretty nice deal. If you’re not interested in purchasing the game, then you won’t be able to play Firestorm. It’s uncertain if EA will make Firestorm a F2P , but anything could happen in the future. Console players on PS4 and Xbox will need to go to their official online store to purchase the game in order to play Firestorm. Additionally, players can purchase the physical copy of the game, in which they will only need to “update” the game to unlock Firestorm. 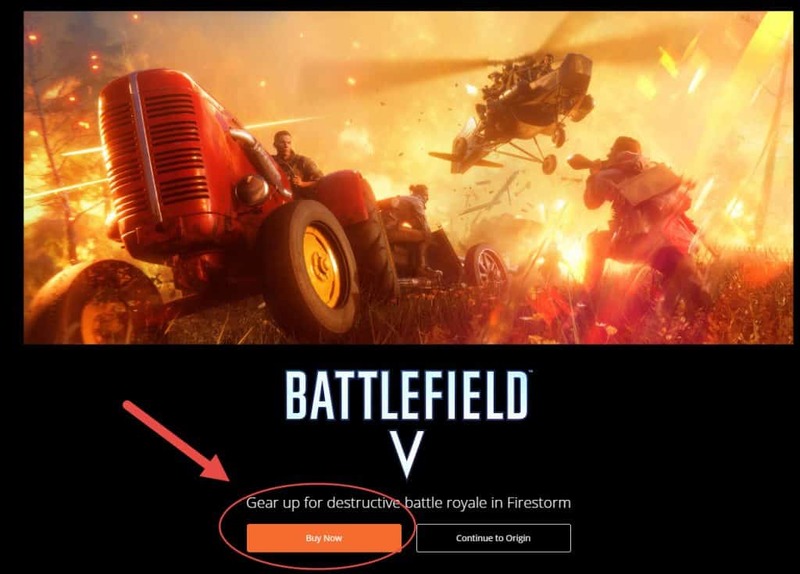 If you’ve decided to make the choice of purchasing Battlefield V, you’ll need to wait for the game to finish downloading 100% before you can play Firestorm. Depending on your internet speed, it may take some time to download. If you’re looking to speed things up, the best approach is not to play any games while the game is downloading as this will only prolong the whole installation. While the game is installing, you’ll need to go through the initial introductory campaign which goes through different point-of-views from the War. There’s no skipping this part of the game as you’ll need to complete it which only lasts around 10 minutes. Once you’ve completed the introductory stage, you’ll come to the entry screen which will show five banners. The first banner is the intro phase. The other four banners are actual games that you can play. Once the game is downloaded 100%, you’ll receive a pop-up box right away which is a required update. This is for Firestorm essentially. 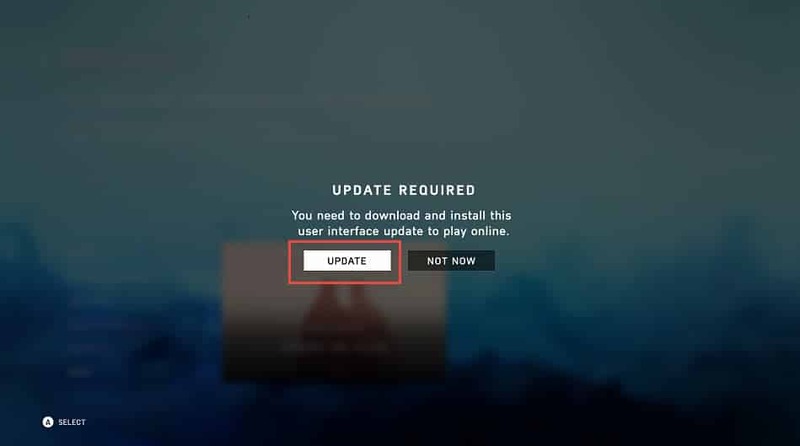 User’s who already had the game installed on their console will get this update right away (assuming you haven’t played Battlefield since last week). Once you click “update”, the game will take a few seconds to unlock Firestorm for you to play. You will then see the introductory screen which will show this messages. “Royale Reimagined for Battlefield. FIRESTORM IS HERE”. Once you see this screen, you’re set and ready to play Firestorm. 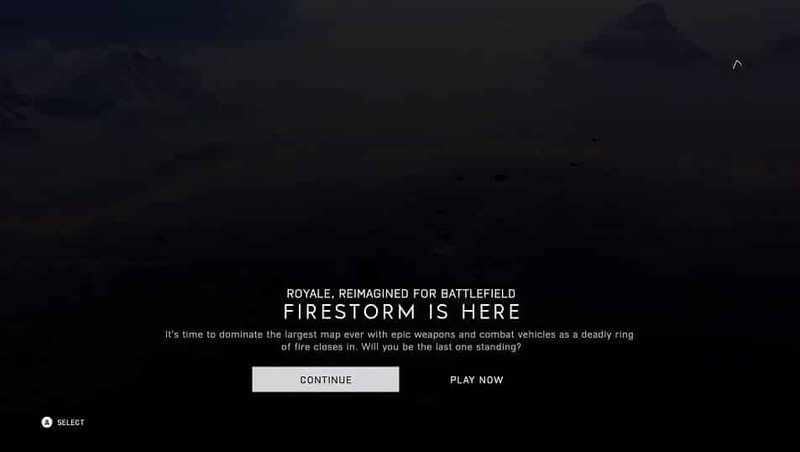 Click continue to enter the intro video for the game which will explain the Battle Royale rules for Battlefield Firestorm. For PC players, the download process will essentially be through the Origin platform. The price that is offered on Xbox and PS4 is also the same on PC at $39.99, which is 50% off the original price. As of this writing, there is 2 days left for the discounted price. Afterwards, EA will set it back to it’s $70+ price tag. Like on PS4 and Xbox, in order to play Firestorm Battle Royale on the PC, you’ll need to purchase the game for $39.99. If you already have purchased the game prior, then all you’ll need to do is login to your Origin account and select Battlefield V to update it. Firestorm will be unlocked and you’ll be able to play the game. Firestorm is the new Battle Royale game in the scene that takes place in World War II. It’s the first WWII Battle Royale game on the market.